As the new year rolls in, it’s time for me to leave the country again. This time, for the worlds premier flooring convention, DOMOTEX in Hannover, Germany. 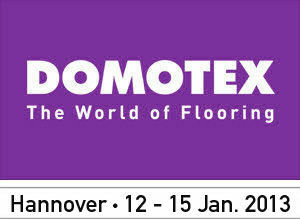 With over 1,400 exhibitors from more than 60 countries DOMOTEX 2013 is set to be the most important event for the entire international flooring trade. It will again prove to be a unique marketplace for hand-made and machine-made carpets, textile floor coverings, resilient flooring, parquet and laminates, as well as application and installation technology and cleaning. At the same time, DOMOTEX is an unrivalled communication platform for visitors from the trade, the skilled trades and interior design. Trade visitors from all over the world come to DOMOTEX to learn about important trends, developments and topical issues at the exhibition and in a series of conferences, special displays and workshops. I will be sure to post some pictures from the event. Our booth should be great! I simply could not depart your site before suggesting that I really enjoyed the usual information a person provide for your guests?